Few will disagree that the current banking industry is facing a turbulent future, as the incumbents continue to struggle to keep up with the seemingly endless growth of FinTech “disrupters.” Consumers are now inundated with a vast array of choice in the form of new products and services beyond the boundaries of our imagination. The challenge for big banks is to marry the needs of the current generation with new technologies, ensuring that services can still be provided to millions of active customers while new products are both practical and implemented at speed. This is far from trivial, due to current products being nestled in inflexible legacy technologies making it complex and costly for them to be changed. The incumbents’ difficulties in tackling this are highlighted by the rapid rise of FinTechs disrupting such an institutionalised and previously untouchable industry. This FinTech revolution has put big banks in an even more precarious position, as their role as the go to financial mediators is put into question. Risks for the traditional banks have emerged in many forms, ranging from app-like services, which offer very specific products such as Trussle, to more integrated platforms that offer a wider range of services, many of which have carved out a new niche in the industry as “online banks”. The more specialist FinTechs, while often the most disruptive, may be too radical for their own good and over-engineer solutions to manufactured problems that don’t affect everyday consumers. This puts the longevity of many of these services, which could follow Icarian trajectories, at risk. Alongside the uncertainty of the products available, the vast majority of these FinTechs are young start-ups, with little to no brand recognition or trust, something incredibly important for customers whose money is on the line. Consumers are therefore left in a difficult position, to choose the big banks with frustratingly old fashioned but trusted services, or to go for start-ups with attractive products but the lack of a track record and reputation. While some FinTechs may be flying too close to the sun, the new generation of online banks may offer the solution to the challenges faced by the consumer banking industry. They often boast the same features consumers love at traditional banks, including easily accessible funds in a current account alongside integrated saving and investment accounts, after all they are able to offer Government-backed deposit protection for up to £85.000. Some, for example Revolut, although currently not a bank and hence unable to provide FSCS guarantee, which started out from a modest background in foreign exchange for holiday money, are now allowing customers to access products traditionally offered by mainstream banks from the comfort of your smartphone. These are posing the biggest risks to the big banks, as while it was a FinTechnologically literate minority of consumers that greeted the more obscure FinTechs, online banks threaten to undermine incumbents’ hold on the mainstream market. While traditional banks are facing threats from the FinTechs, we are still in Wild West territory. The lack of coordination between banks and FinTechs, which is only recently being addressed, means that consumers who want new products and services offered by the FinTechs, with the trust and security associated with traditional banks, are left with few options. In my view, the future of banking will see the rise of new technologies becoming integrated with traditional systems to heal the wounds left by big banks which today’s FinTechs have tried to mask over rather than address the underlying causes. This square peg in round hole approach will cause the incumbents to struggle to hold on to their customers, even when collaborating with FinTechs. Instead they should look to the seamlessly integrated online banks for guidance and co-operation. One example that illustrates this issue is the unarranged overdraft problem. Overdrafts were first introduced by the Royal Bank of Scotland in 18th Century, and have changed little since. They are of great benefit to both consumers and banks, and hugely convenient. That is, until your agreed limit with the bank is exceeded. For half of the population the agreed limit is nil, hence going overdrawn means immediately paying unarranged overdraft fees. Last year nearly 25 million personal current accounts went overdrawn. The majority of these consumers often have no choice but to knowingly go overdrawn to unarranged levels as they have been offered no alternatives by the big banks. As a result, some also turn to alternative non-bank lenders, such as consumer credit and payday loans which not only put a black mark on a customer’s credit file for six years but also reduce people’s credit scores by an average of 10% within 12 months. This results in more expensive financial products such as mobile contracts or utility bills. This is a real paradox. Fiinu is launching next year with an elegant solution to this dilemma. Its current account with overdraft extension prevents consumers from paying unarranged overdraft or failed item fees. This is monitored through Open Banking, and allows users’ other current accounts to pre-emptively subsidise the account low on funds to avoid fees. It also allows access to an outsourced overdraft at a fraction of the unarranged overdraft cost. In doing so, Fiinu also improves customers’ credit scores and allows consumers to access to better deals through improved credit files. These things, while possible for ground-up neobanks, are far more challenging for the established players with outdated protocols entrenched through their use by millions of customers. The future of banking is both exciting and uncertain, however it is clear that the approach of the incumbents, who now see the use in working with FinTechs to suit the needs of a new generation, must try and rectify the structural issues within banks themselves, rather than try to patch them over with what will ultimately become stop-gap measures. The biggest threats to the banking status quo are the rising online banks, which offer both realistic and evolutionary alternatives for the everyday consumer. 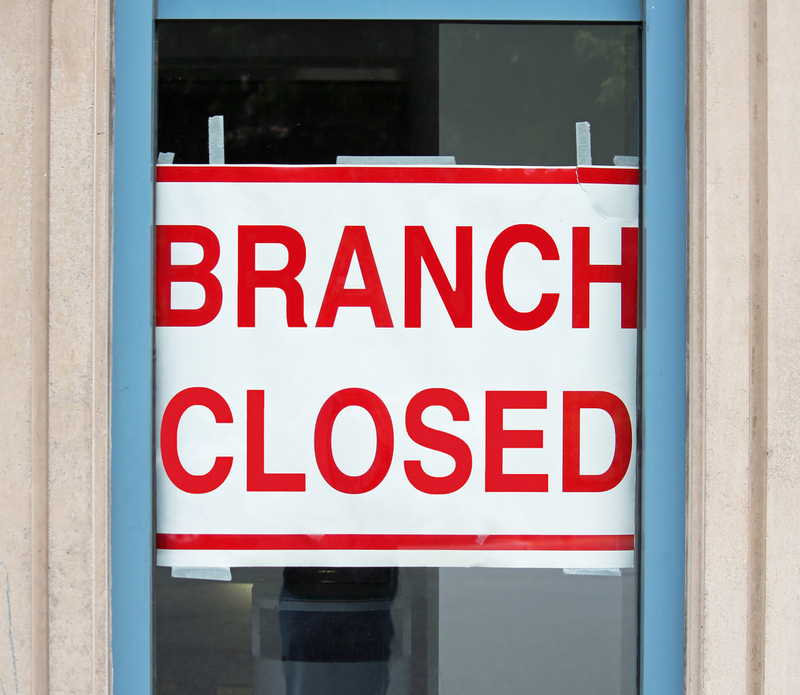 Their recent successes and growth in the market suggests it is not unreasonable to imagine that in as little as five years, the brick and mortar bank may well be confined to the financial graveyard.